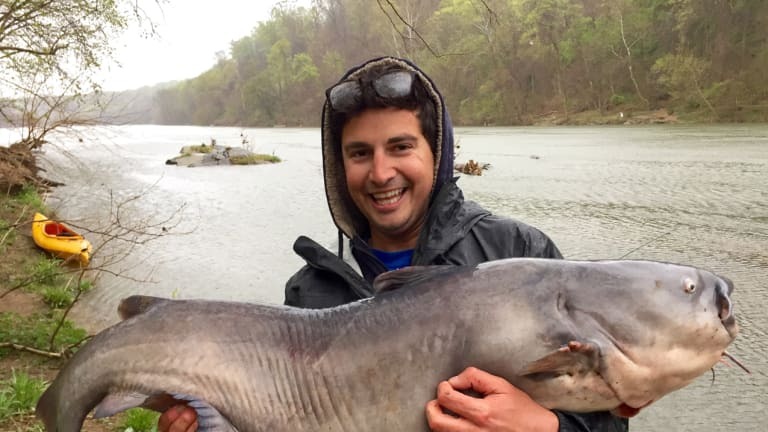 The big fish came on a rainy, windy, snowy day this April on the Potomac River just upstream of iconic Fletcher’s Boathouse in Washington, D.C. And this fat cat didn’t get away from professional photographer and angler Jay Fleming of Annapolis, Maryland. 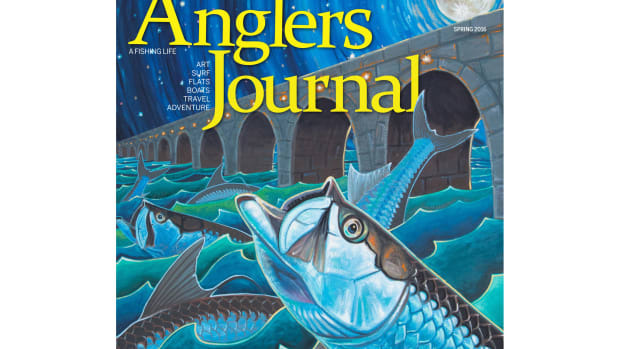 Fleming estimates that the blue catfish weighed just over 70 pounds (more on that shortly), a nice catch, especially from a 15-foot Ocean kayak, a sit-on-top model. First we set the scene. The Potomac was mostly empty April 9, which is unusual for a Saturday morning in spring, but not when you consider the weather. 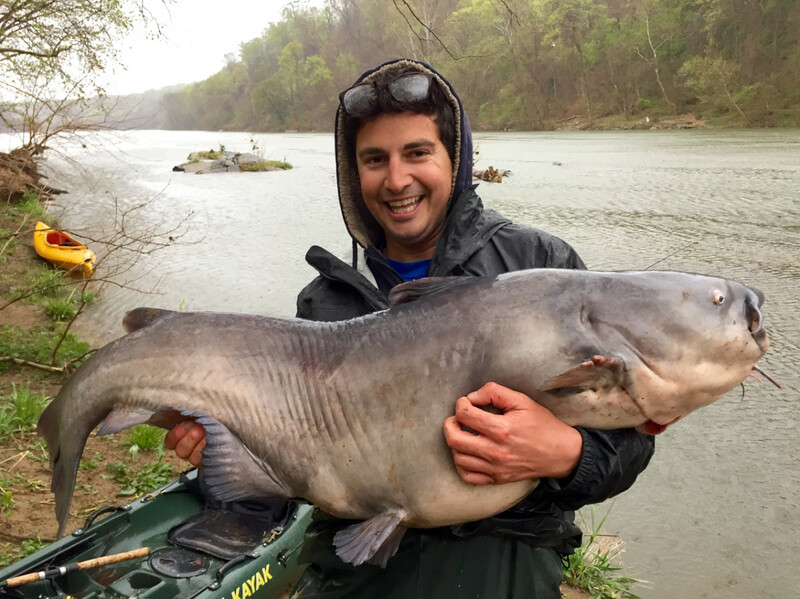 Jay Fleming and his big Potomac River catfish. 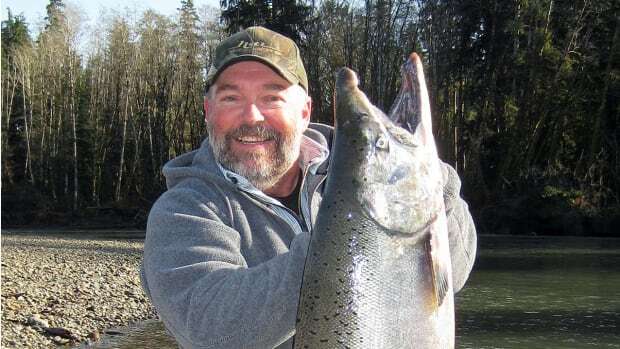 Fleming was using spinning tackle, a stiff 7-foot St. Croix Tidemaster rod, a Shimano Stradic 3000 reel with 40-pound braid and a 40-pound fluorocarbon leader, “not that it matters for catfish,” he notes. He didn’t want to go with anything lighter. 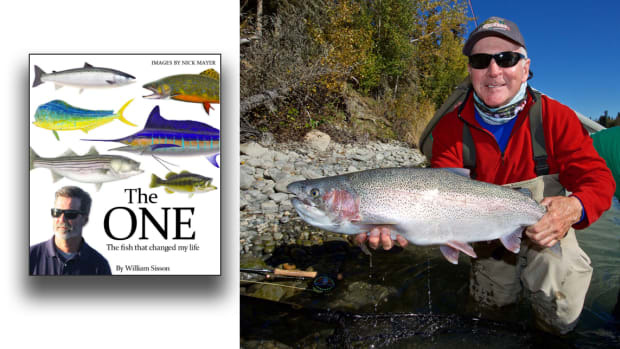 “When you’re in a kayak, you just want to be able to put all the pressure you can on the fish,” he says. 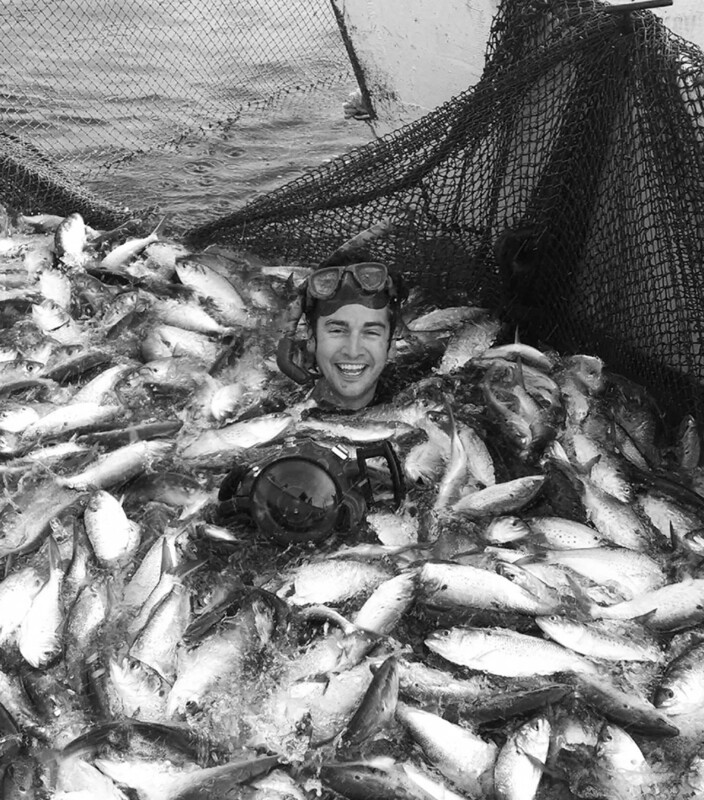 Fleming was fishing deep with cut gizzard shad for bait and 1½ ounces of weight. Fleming is a photographer who really gets into his work. Fleming had already caught two blue catfish in the 10-pound range when the big boy grabbed his bait. “I just let him eat for like five seconds and then set the hook,” he says. Big blue cats fight well, and this one was no exception. “The fight is definitely exceptional,” says Fleming, who is 28. 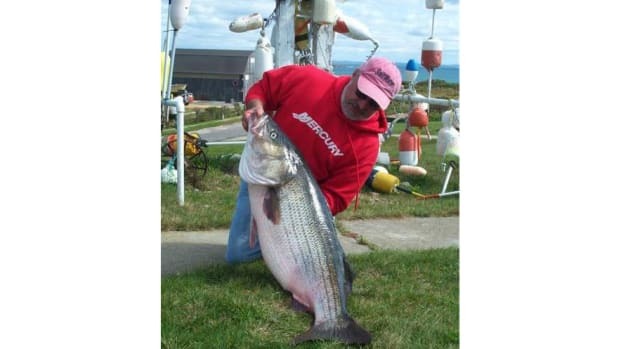 “I’d say they fight harder than a rockfish [striper]. I definitely knew it was big, like within two or three minutes of the fight. 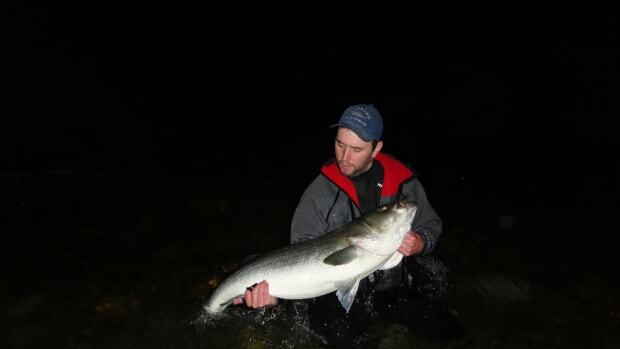 The big ones definitely run a little bit.” And Fleming’s fish also did a few death rolls, sliming the line pretty good in the process. 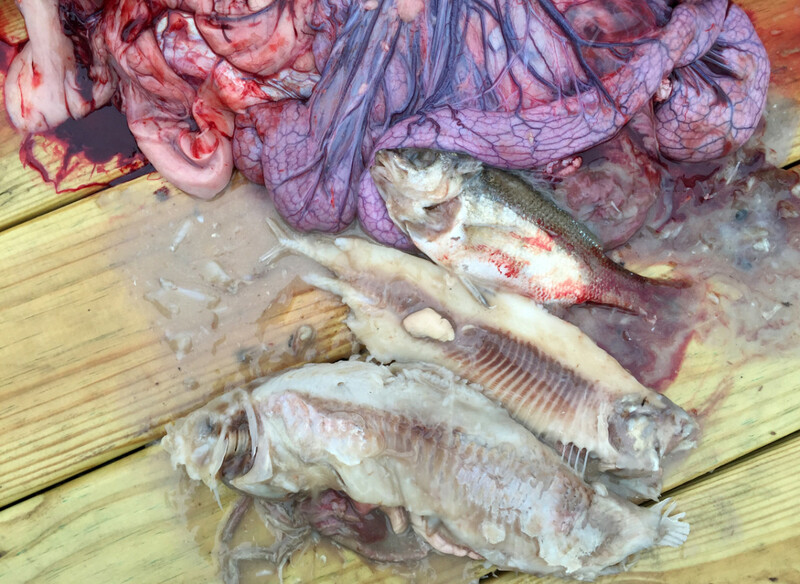 The contents of the catfish’s stomach included an American shad, a hickory shad and a white perch. 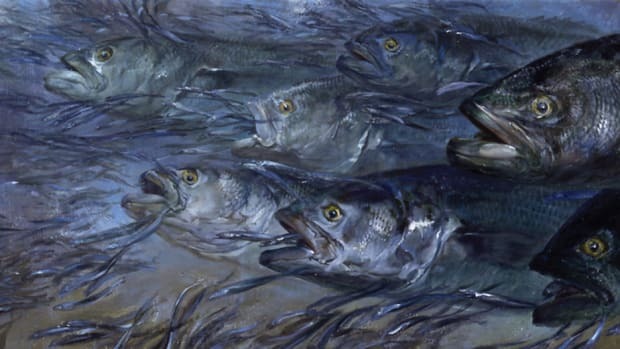 The 72-pound weight is an estimate, but Fleming has handled a lot of scales and tails photographing commercial fishermen, and he has benchmarks. 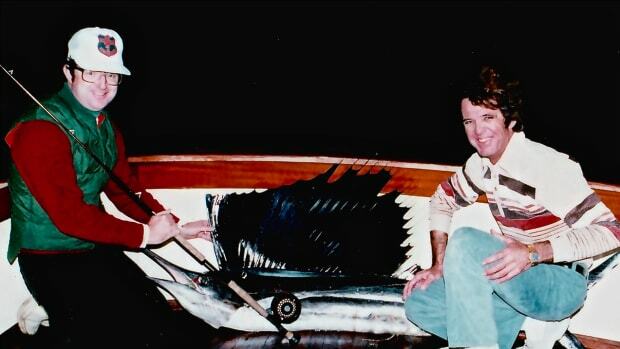 On the very next drop in the same hole, Fleming caught a cat that weighed 42 pounds, and so he had that fish for comparison purposes, too. If there is a twist to this story, it’s that Fleming is not a catfish angler. 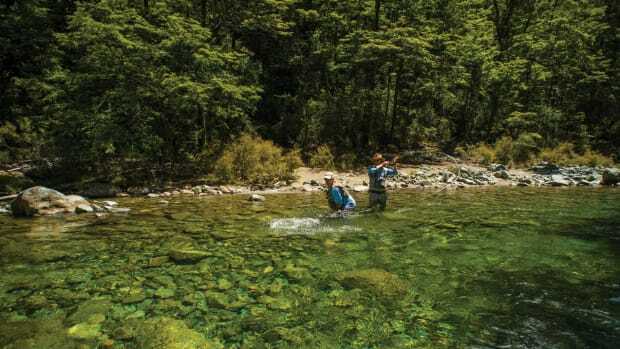 He was targeting them in part for sport, in part to cull them from the river. 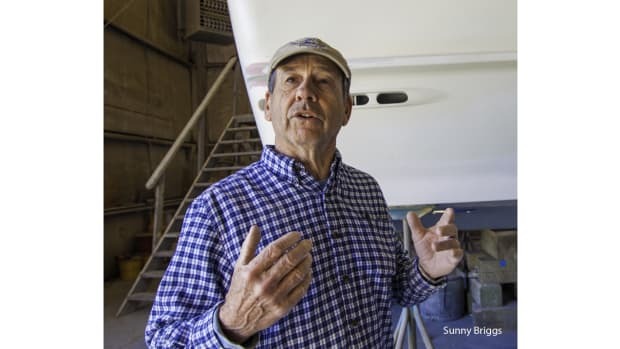 “They’re an invasive species,” says Fleming, noting that blue catfish were introduced as a sport fish in Virginia and the Chesapeake Bay in the 1970s. Fleming says Maryland recognized them as a problem a few years ago and really pushed the commercial industry to catch them.